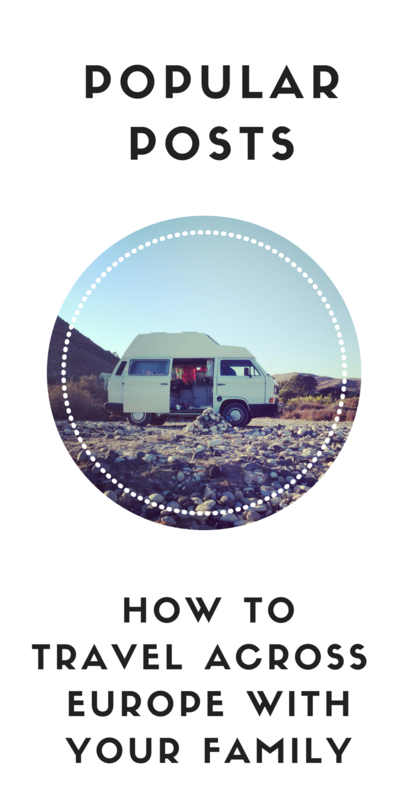 I hereby announce the publication of the Ultimate Guide to No Poo! 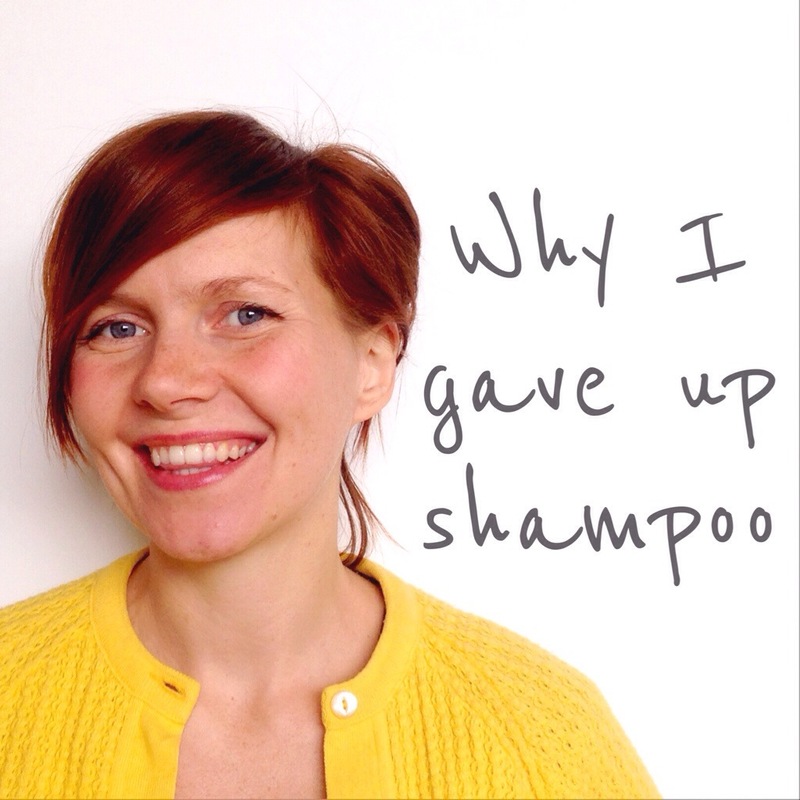 13,000 words on how to give up shampoo, over 32 shampoo, conditioner and styling product alternatives, the scientific basis of No Poo and a whole load of stories from my 2.5 years Shampoo Free. 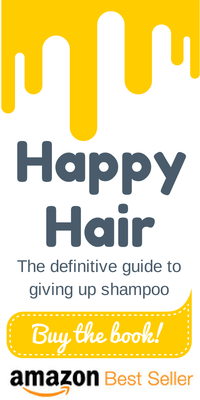 Happy Hair: The definitive guide to giving up shampoo. It was a trip to the hairdressers that confirmed for me that we are all being hoodwinked by the beauty industry! It was my first visit since giving up shampoo and I was nervous about having to ask her to forgo the products when washing my hair. I was imagining a dropped comb, a face contorting with repulsion, and, as the full realization of having massaged the scalp of a head that hasn’t seen a single goop of shampoo for over a year, projectile vomiting into the mirror. Marvelously, that scene didn’t happen. In fact, she barely blinked. As the hairdresser began cutting my hair she explained that she was “thinning it out”- I guffawed (glamorously) in shock. My WHOLE life hairdressers have been trying to cut my pathetically lank hair in a way that would add volume. I explained conspirationally that I was sure giving up shampoo had actually improved my hair. She looked at me as if I was an idiot “Of course it would! Using shampoo regularly just totally strips your hair out!” I was astonished that a hairdresser would so passionately admit that shampoo may not be bringing out the best in people’s tresses. It isn’t the ticket to becoming a millionaire by age 33 (unless , of course, you write a book about it *evil billionaire laugh*) but giving up shampoo can relieve a tight budget. Even if you use the traditional alternative to shampoo – a Bicarbonate of Soda wash once a week you will only get through one jar every two months. If you throw in a weekly cider vinegar rinse too you’ll probably use up a bottle every three months. Depending on where you shop that is a mere £8-13 a year on hair washing paraphernalia. Moreover, loads of people manage to wean off using natural alternatives regularly so end up spending far less than that. Inconceivable! In our home we were using a bottle of shampoo and conditioner every month at a cost of £5. We now use water and are saving £60 every year. It doesn’t sound like a big deal, but when we are old fogeys we will be able to go on a luxury £3000 cruise with the savings! Wahey! I gave up shampoo about a week after reading the research published by Bionsen that revealed the 515 chemicals women put upon their bodies daily. I initially thought “Ha! They didn’t research ME!” but then I looked at the back of my shampoo bottle and realized that in my shampoo alone there were about a billion items I didn’t recognize in the slightest. In an ideal world I wouldn’t lob imposing names out there like big fat toxic grenades, to scare people into giving up shampoo. I’d really rather talk about the magnificent simplicity of taking a lemon from the fruit bowl and cleaning our hair with it. But we do need to ask some big questions about what we readily pour into our pores. So quick! Take cover! Sodium lauryl sulphate and sodium laureth sulphate cause shampoo to be lovely and bubbly but are also skin and eye irritants that come with major warning labels. Cocamide diethanolamine is in over 100 shampoos available on the high street. Cocamide DEA is not only an allergen with high potential as an irritant but it is classed by the International Agency for Research on Cancer as a Group 2b Carcinogen. Parabens have been connected to higher estrogen levels, which wreak havoc with the hormones. Quaternium-15 is a preservative that discharges formaldehyde. It is an allergen that can cause dermititus as well as having been linked to cancer, particularly leukemia. Methylisothiazolinone has been connected with neurological damage and Alzimers, often abbreviated to MIT. 1,4-dioxane has been found in almost a quarter of the products in the Skin Deep Database from the Environmental Working Group. This is cause for concern. The Environmental Protection Agency classifies dioxane as a probable carcinogen. Almost all commercial shampoos involve mineral oil, a byproduct of crude oil being turned into gasoline. It is pretty much the leftover sludge. It is in many shampoos and actually sort of acts like a sludge on your hair. It coats each shaft, indeed adding a glossy sheen, but also preventing any toxins and excess oils ever leaving your hair. 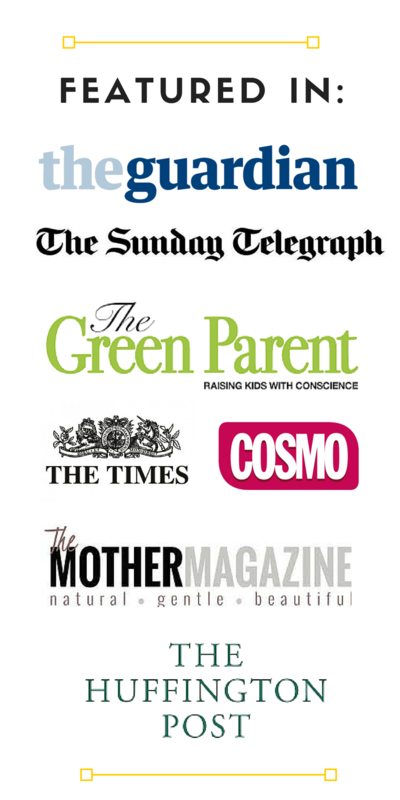 The book has now been featured in Cosmo, the Daily Mail, the Guardian and The Telegraph. Amazon Reviewers are raving about it, wahey! Get your beautiful hands on a copy right here, right now for less than a bottle of shampoo… Available in every currency and every country of the world. Whoop! I went ‘no poo’ back in November after reading your post about it. I have incredibly fine hair that I thought I needed to wash every single darn day to keep grease-free. After a brief transition period (aided by the fact I work from home so co-workers weren’t too perplexed by the slicked back look), I can go for a whole week without washing. I have to admit, I do use bicarb, but I reckon I’m using way too much as my hair has become slightly more dry recently. Plus I caved and used a little dry shampoo (yes, slap my wrists but I really didn’t fancy cocoa given the monsoons here in the UK…) last week when I was short on time. Anyway, since November the new hair growth IS thicker and stronger, but to the point where the old hair now snaps right off. Oh well, onwards and upwards as I’m still super pleased to notice a difference with the roots. I honestly can’t say I’ll go back to shampoo again! This is great, I can’t wait. 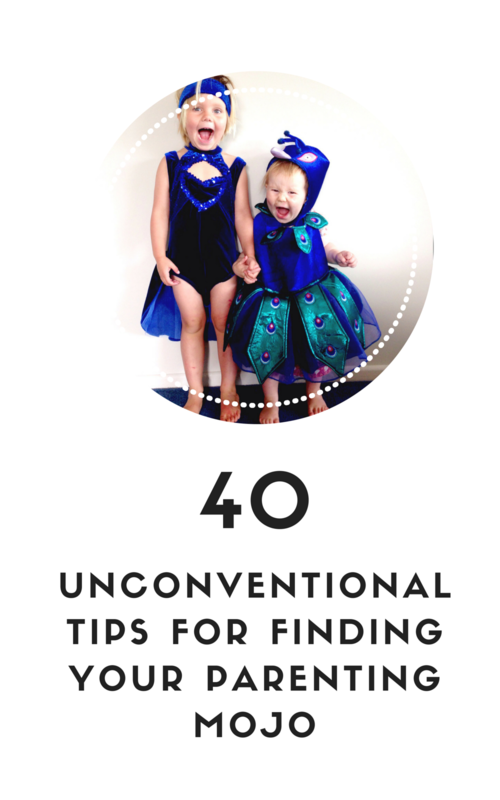 I’ve recently come to a point of questioning my no-poo methods as my scalp has become very dry and flaky 🙁 So your book will hopefully help a lot! I’m so glad someone else gets the post baby fringe!!! Mine has grown in grey…. thanks for that one mother nature! Wowzer! First draft in a weekend- good for you, I am impressed. Super happy that my temperamental internet connection has perked up in the early hours (yawn) and enabled me to check out your hippyshake-ha! Loved the pics of Ramona in the garden having a transcendent moment too. We don’t use shampoo on the children unless they have covered themselves in something smelly and sticky and let it dry … because we’re awesome parents like that. One thing I need help with is the toddler’s hair. She has never had a haircut (doesn’t want one) so her hair is still the baby fluff she was born with and I am left having to detangle a matted nest every morning. Any ideas? Hey! I stopped using shampoo recently; what motivates me is actually not having to clean my hair every other day. I don’t know why some people don’t mind frequent washing, don’t they get tired of saying: “Oh wait, I can’t go to the supermarket, I have to wash my hair first” and stuff like that. I’m so glad I disovered this method, I’m only concerned it wouldn’t work on me (not that I’m special or anything, it’s just that everything I ever used for my hair didn’t actually work…). Well, that aside, I totally want to buy your book, if only to suppor the movement of no poo. I think it’s great more and more people are discarding their hair products, it’s like a silent rally against beauty corporations! It’s a small step to a better world! I bought your book and was pretty excited to try it out and tell everyone about it. I tried a wash of baking soda and a rinse of vinegar and my hair feels great the first time. I was thrilled that it was so simple. I told a friend who googled baking soda hair and the top 2 links were “baking soda saved my hair” and baking soda destroyed my hair”. ! I’d already read your book so I looked at the second one to see what happened to her hair. That’s not the only link that talks about baking soda being way too harsh to use on your hair long term, with all the ph tests and what-not to back it up. My heart sank. They all seem to be pushing product, though, which gave me pause. The additional explanation that your hair feels great and soft and silky initially when washing w/ baking soda because it’s actually breaking down the structure of your hair made me nervous. What do you think about this? What has your research found? I don’t wish to rain on your success! 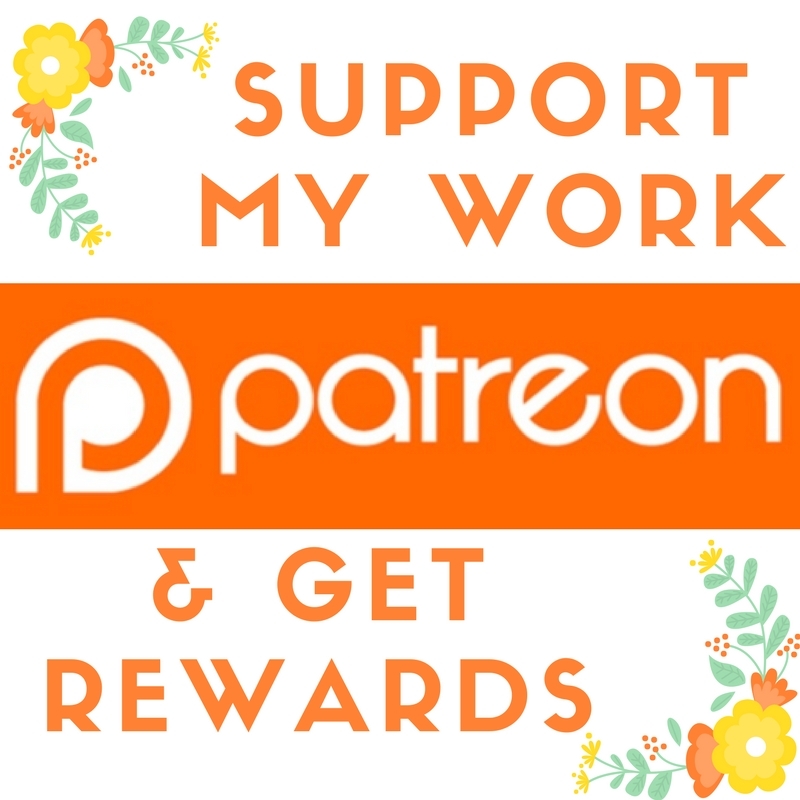 I’m sorry if you’ve addressed this somewhere on your blog already. You must have, as it’s important info it seems like. Look forward to your response. Thank you. Thanks for your comment. 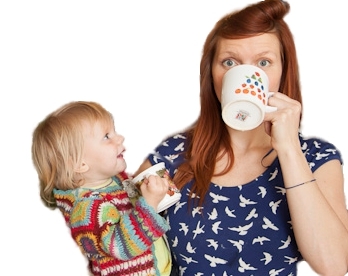 Argh- I know the “Baking Soda destroyed my hair” link well – it is a bit infuriating! For starters, it completely misunderstands the science. It isn’t just arbitrarily about creating the right pH balance – the reason we need to do that it because of the impact of the pH balance on the structure of each hair shaft- specifically, whether the shingles are up or smooth. The reason the amount of BS in a cup matters, and the length of time it is on head, is because BS turns our sebum into a surfactant and washes it away. So of course, if too much BS used (and the internet is full of advice suggesting one table spoon) and if it is left on then it is as bad, if not worse, for our hair than shampoo. The reason I went so thoroughly into the science in the book was to empower people to find the thing that suits their hair the most. A little bit of BS, every so often, not left on, will be absolutely fine. (In fact, I am testament to that as I have used it irregularly for two years and genuinlely my hair is in amazing condition.) I do specically say in the book that using too much BS, not rinsing off, using it too many times in a row, etc etc will be too harsh for the hair. I’ve bought your book and started the no-poo method 6 weeks ago. My hair is not nice, not soft and silky at all just it’s brittle and dull 🙂 I wash it every 5-7 days (BS and then ACV with honey for conditioning), brushing it every day. Since I haven’t find the answers to my question, would you please be kind and tell me, can I wash my hair every 3 days, just with warm water and then ACV + honey? BS only every 3rd or 4th wash? What do you think about the honey shampoo and ACV conditioning? Please, help me. I really don’t want to ruin my hair as it wasn’t so great when I started this method. Hello Petra- yes, it sounds like you are going through all the horrors of transition! Mine was just as awful – some people are luckier than us. I think your plan sounds good – like the book says, too much BS can be bad. I personally only use it every second wash. I think you should try the honey and ACV. It sounds as if your hair needs lots of extra nourishing, perhaps it is slightly damaged. I’d definitely recommend the egg wash as it leaves hair extra conditioned.